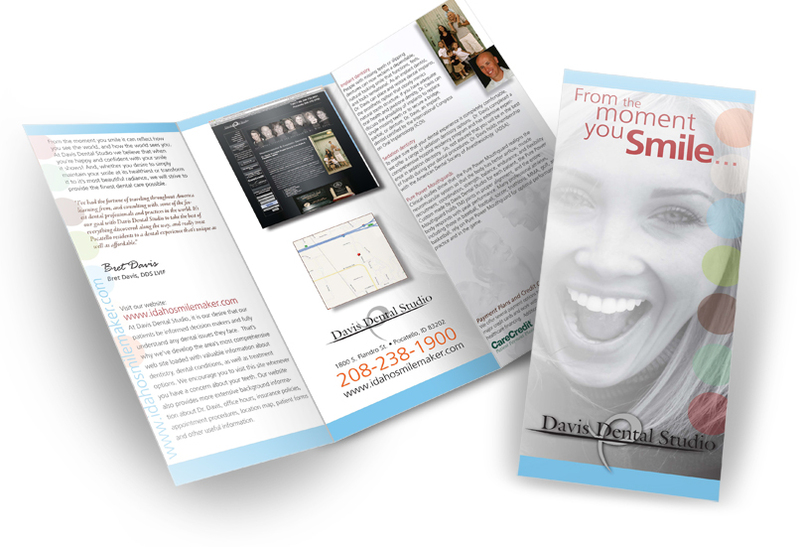 Wanting a fresher look for the opening of his new practice , Dr. Brett Davis contracted MC2 to create a series of bright, contemporary marketing pieces including this brochure. Starting late in an already crowded financial field, MCM needed to stand out immediately. 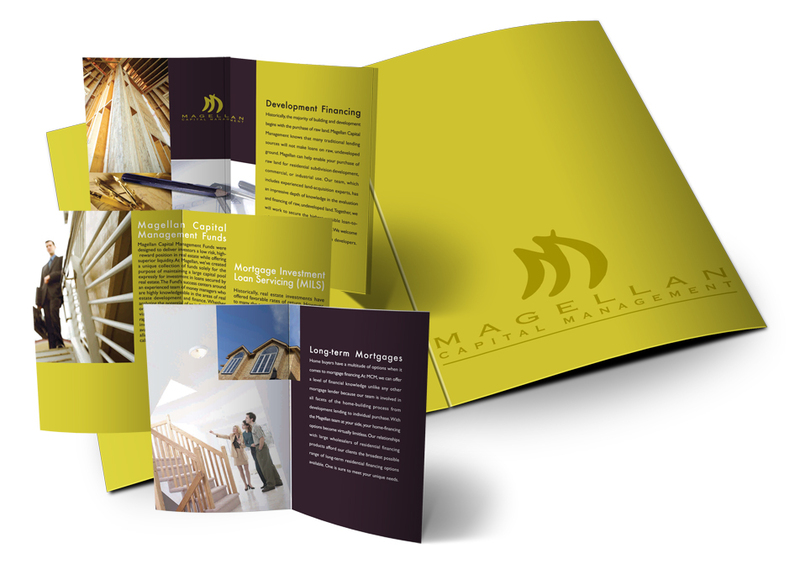 We created this simple, yet elegant multi-fold brochure to help make an immediate impact. 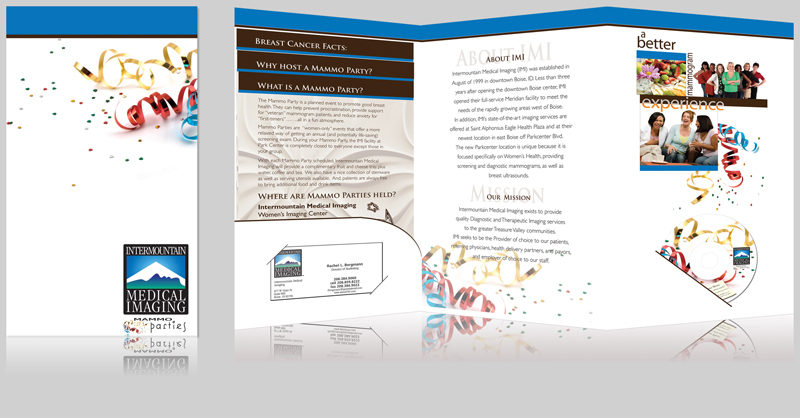 While illustrating the features of the IMI facility, this piece included a cd-rom that offered patients and organizers information and instruction to plan a successful event. 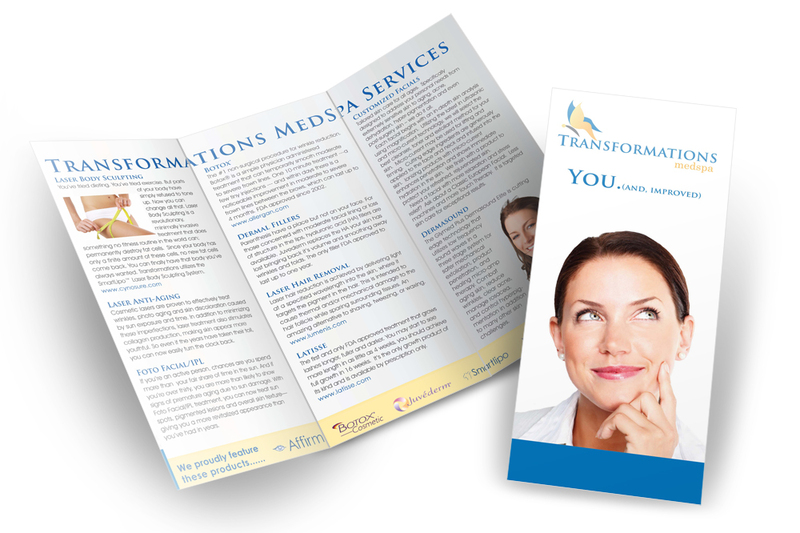 This piece was part of an internal marketing campaign targeted to highlight the expanded offerings of aesthetic skincare to an existing patient base. 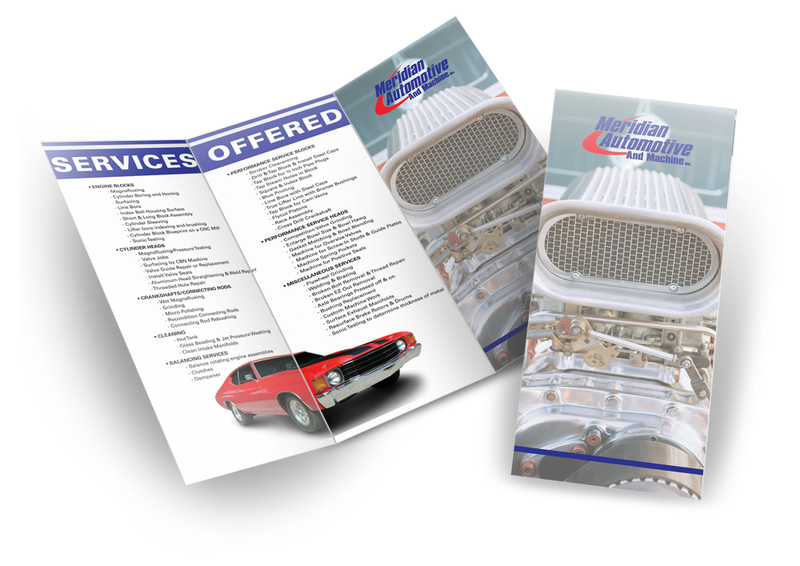 Created to compliment a marketing effort at a Hot Rod trade show, this brochure allowed Meridian Automotive to highlight the scope and depth of their services. 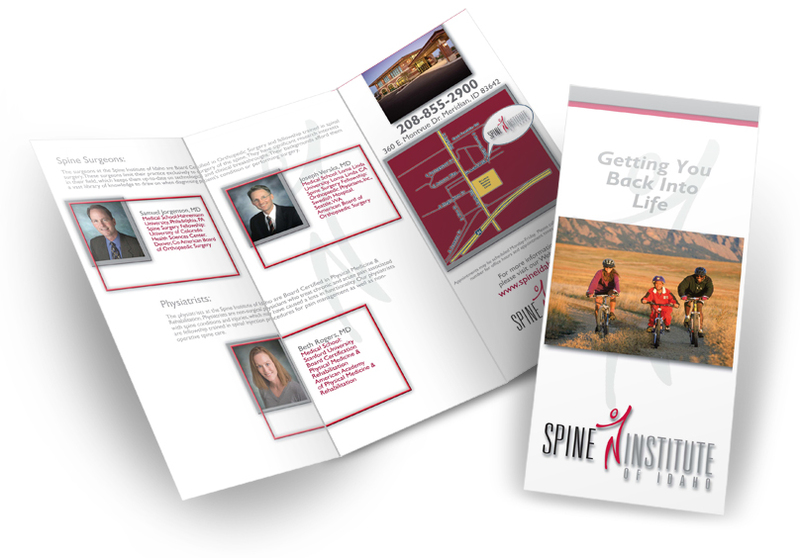 Though a well-known spine care facility, The Spine Institute wanted to showcase the services and care offered by their pain management and rehabilitation specialists. 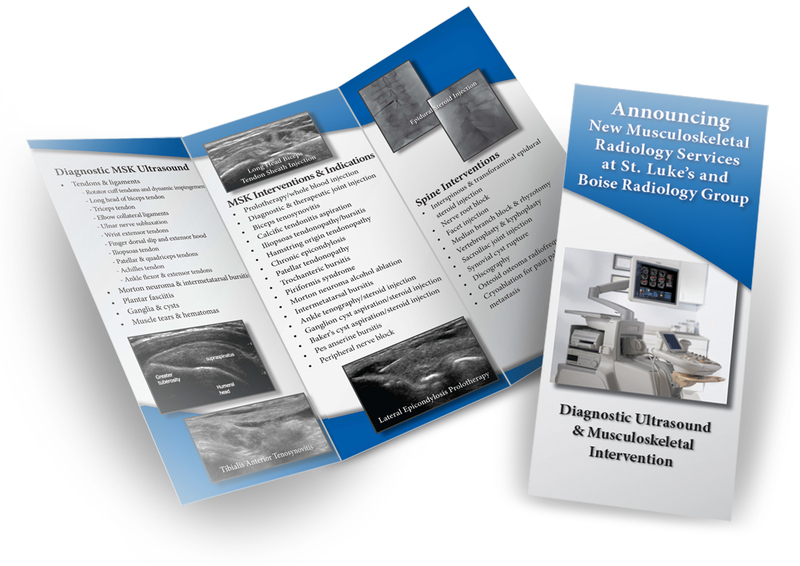 In conjunction with a local hospital, BRG requested the creation of a tri-fold brochure showcasing the depth of one of their treatment modalities. 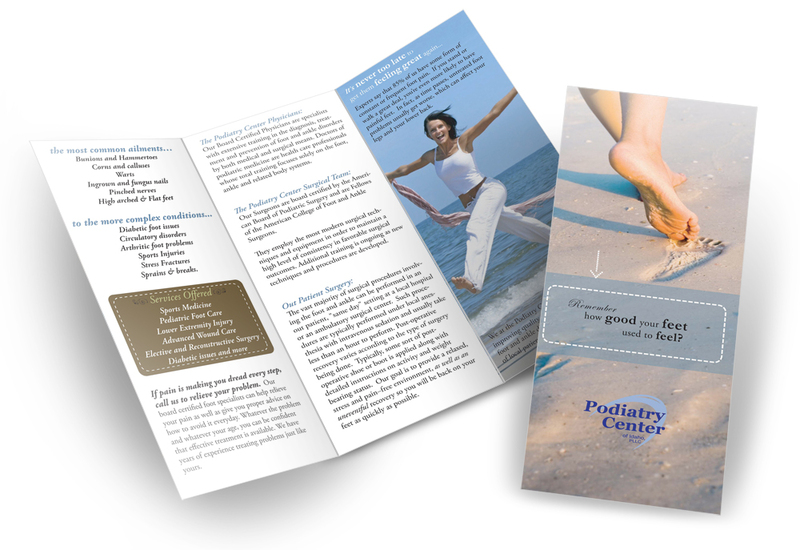 To help underscore the importance of proper foot care as well as detail the comprehensive care the practice offers, MC2 was asked to create this contemporary brochure. 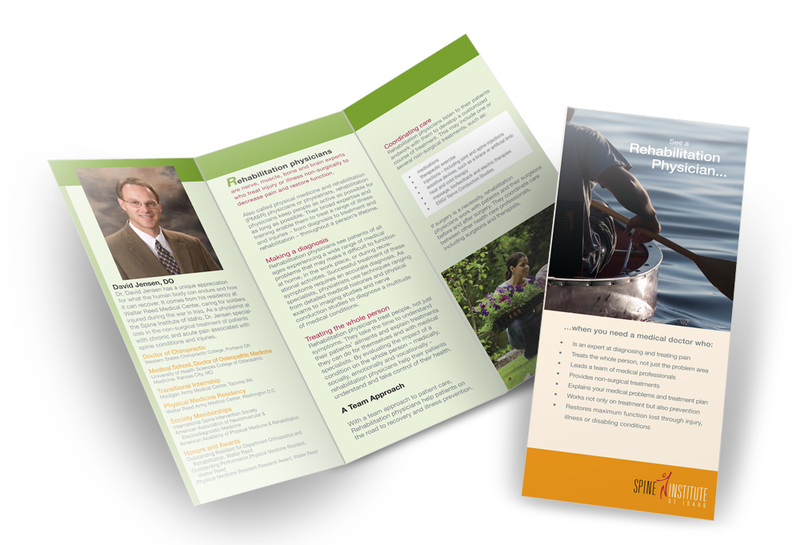 This brochure helps to briefly illustrate the extensive range of care and services offered, as well as the impressive credentials of the physicians patients of SII will encounter.